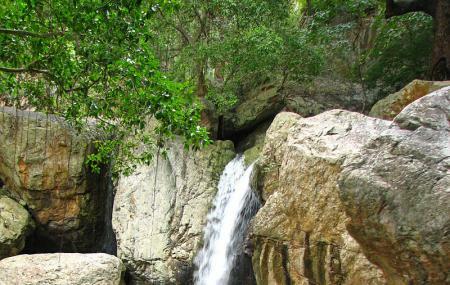 A fabulous place to walk around, the Ubbalamadugu Falls is considered to be one of the best hikes in and around the regions of Tamil Nadu and Andhra Pradesh. It is also the favourite of things to do near Chennai on weekends. The significance of this Chennai attraction lies in the fact that it has been mentioned in the epics of Mahabharata and Ramayana. The falls have been resorted to by several for day picnics and easy to moderate level hikes. The pool formed at the bottom of the waterfall serves as a beautiful place to swim. Best for senior citizens and kids to skip it. There is no food available in the vicinity. Lots of monkeys around to be careful of. Shared autos to the entrance of Tada forest. How popular is Ubbalamadugu Falls? People normally club together Sri Veda Narayanaswami Temple and Pulicat Lake while planning their visit to Ubbalamadugu Falls. People also prefer to start their day with Ubbalamadugu Falls. Nice place to TREKKING With Falls to enjoyable place for younger. but there no food at forest so we have taken or prepared eatables like food and waters and so on.. Visting Hours between 8AM to 4PM only.